Everyone wants our roads to be safe, but what price are we willing to pay? Do we really want state troopers and local cops hiding out in dark areas waiting to pounce on unsuspecting motorists who are driving home from a long day at work? Or how about the county cops that stops the family that is driving to Ocean City for a much needed vacation for going 38 in a 25? The answer from the majority of our traffic clients is that there is simply too large a police presence dedicated to giving speeding tickets. As drivers who put a large amount of miles on the firm cars we would have to agree; there are way too many speeding tickets given out in Maryland! So you received a speeding ticket, and now what do you do? The first thing anyone should do after encountering a police officer on the road is to call an experienced traffic attorney. Our firm offers free consultations, but here are some basic tips for dealing with your ticket. There are two basic types of traffic citations, must appears and payable. A must appear citation is reserved for major traffic cases such as driving on a suspended license, DUI and leaving the scene of an accident. Those types of cases are discussed in greater detail on other pages within the firm’s website. This page will just focus on the other type of citation, the payable fine citations. No matter how fast you are driving over the speed limit in Maryland, all speeding tickets are payable by mailing in a check to the district court. This includes citations for street racing or for even participating in a street race as a bystander. None of these tickets require you to personally show up in court, but keep in mind that this in no way means that you should simply pay the fine and forget about the ticket. In fact this is the last thing you should do! Simply paying a fine may make the actual citation go away, but the consequences of paying the ticket could be drastic. For starters, by paying a ticket you are admitting to guilt and points may be assessed. Accumulating points can lead to large increases in car insurance premiums and even license suspensions. If you receive a ticket for going less than 10 over the limit you may be assessed 1 point, if you were going between 10 and 30 over the limit you may receive 2 points, and finally speeding 30 miles per hour over the limit may result in 5 points being placed on your driving record. Racing on a public highway or road carries the possibility of 5 points as well. There are also new increased penalties for speeding in 65 mph zones, but all of these can be avoided by hiring an attorney to show up in court for you. 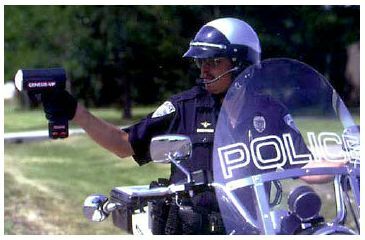 We have a variety of tactics that we can use to challenge the speeding ticket including challenging the cop’s radar or laser calibration and certification, and also the officer’s pace observations. Cops may also leave out certain facts in their testimony, which if raised in argument may lead to dismissal of your citation. Even if we do not prevail at your trial, we can still negotiate with the judge for a lower speed and or for probation before judgment. A verdict of PBJ will not add points to your driving record. The bottom line is that our advice is to check the request trial box on the citation and then call The Herbst Firm. Our fees are often less that the actual fines and much less than an increased insurance premium, and we offer payment plans even for minor traffic cases.